Time Inc has struck a deal with All Sports Network to develop a Sports Illustrated broadcasting and digital network across Asia. Under the deal, the Hong Kong-based All Sports Network will rebrand two of its sports channels ASN and ASN2, along with the websites and mobile apps to Sports Illustrated and Sports Illustrated 2. Time and ASN will collaborate on daily programming initiatives for coverage of global sporting events and will work to expand their content into OTT, digital, mobile and emerging technology platforms. The two companies will also work to cultivate new marketing and advertising opportunities. All Sports Network reaches 29 million homes in 12 markets in Asia, including Hong Kong, the Philippines, Singapore, Indonesia, Malaysia and Thailand. Steve Marcopoto, president of Time Inc. International, said the partnership speaks to the power of the Sports Illustrated brand and brings a “significant” international presence to new media platforms. “Our partners at ASN have built a strong foundation, and together we look forward to creating a differentiated and compelling sports network in the most populous region in the world,” Marcopoto said. The Sports Illustrated and Sports Illustrated 2 networks will feature a heavy mix of event coverage and original video programming from SI Group brands (SI, SI Kids and FanSided) surrounding live, and in some markets exclusive, broadcasts of sports leagues and events, including the Super Bowl, Stanley Cup finals and March Madness. Tom Kressner, CEO and founder of ASN, said the pay-TV operator would build a fully-fledged TV, web and mobile network in the region. 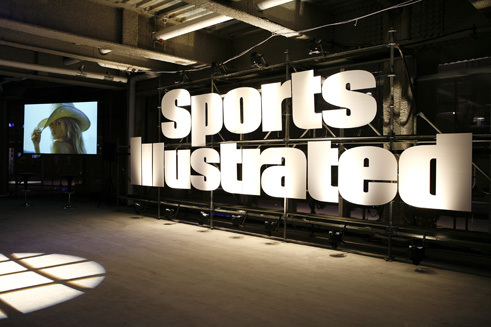 The two Sports Illustrated channels are scheduled for a April 2016 debut. What can buck the trend of Malaysians losing trust? Chevrolet Philippines sent some of its top execs to Hongkong Disneyland not for vacation, but to learn the “business behind the ma..